Twelve (12) single family row homes throughout three (3) separate buildings connected with an adjoining courtyard. 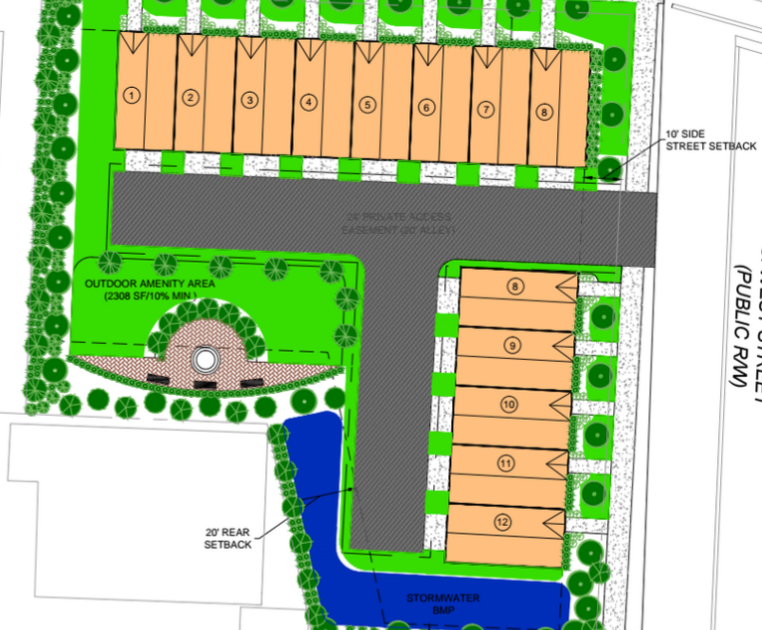 Current plans provide for three (3) distinct designs ranging between 1,400 – 1,600 square feet. Each of the residences will include sleek, modern high end contemporary fixtures and finishes and will include garage parking. The individual buildings will feature skyline views from rooftop terraces. Shopping and dining and unlimited nightlife are just steps away.